This post is part of the Children in Film Blogathon, organised by the fabulous Comet Over Hollywood. Catch up on all the posts over here. 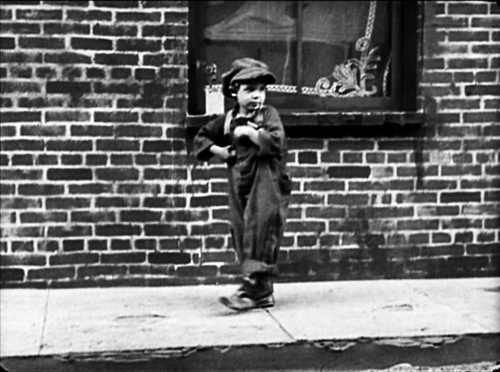 It’s not an exaggeration to say that Jackie Coogan single-handedly introduced the concept of a ‘child star’, but when he made his (uncredited) silver screen debut aged just 18 months old (Skinner’s Baby, 1916), few could have predicted the impact or implications of his career. The film that turned Jackie into a global superstar was Charlie Chaplin’s The Kid, released in 1921 when Jackie was just seven years old. Widely considered Chaplin’s most personal and emotionally poignant film, it placed Coogan firmly in the limelight; a natural mimic, he could copy everything Chaplin showed him and was the perfect co-star. Coogan was born into a theatrical family. His father was a vaudeville performer, his mother an actor and dancer. Following that uncredited celluloid appearance, he performed in theatres and, aged five, began touring with his parents. Chaplin discovered Coogan at one of these shows and (with the initial concept for The Kid already in his mind) cast the precocious young actor in a brief role in A Day’s Pleasure (1919). 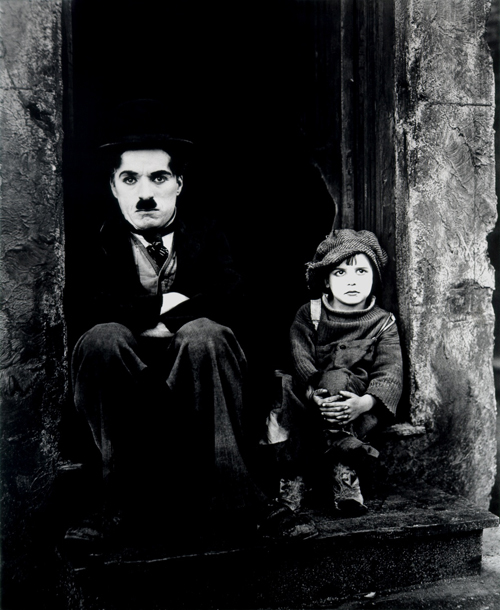 As The Kid, Coogan almost upstaged Chaplin through his impeccable sense of timing, his wide-eyed emotion, and his particular blend of street urchin attitude and natural charm. The film was a huge hit across the globe, but even this incredible, early success was tainted when Coogan’s parents complained that, despite the box-office revenue, they had received nothing. Reports suggest that Chaplin wasn’t a fan of Mrs Coogan, whom he considered to be forthright and pushy, but apparently he offered to secure a role for Jackie’s father at the First National studio at an inflated salary. 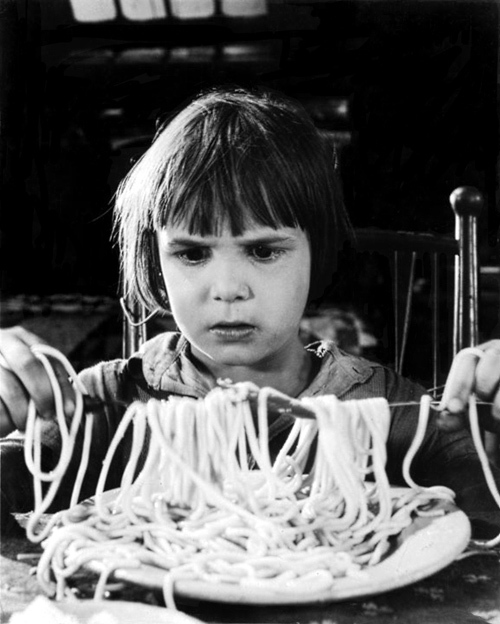 Other films followed swiftly – Peck’s Bad Boy, Oliver Twist, Little Robinson Crusoe, The Rag Man – confirming that Jackie’s star was firmly in the ascent. Although there were other child stars, magazines and audiences couldn’t get enough of the young actor, and the studios pushed his promotion with seemingly endless interviews and photo shoots. 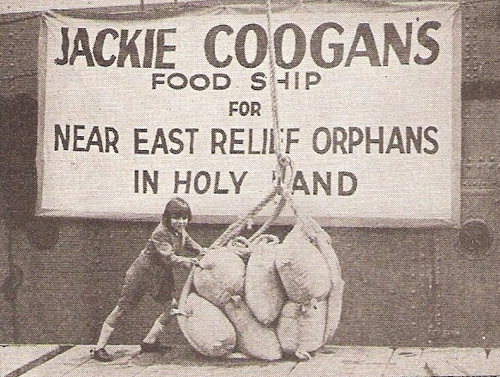 An early ambassador for celebrity philanthropy, Jackie’s spearheaded a ‘Children’s Crusade’ for the Near East Relief (1924). The appeal asked children across America to support a million dollar shipload of foodstuffs for the Near East’s orphans. There’s some wonderful archive footage of Coogan’s visit to Detroit that also includes a carriage ride with Sheba the elephant. In association with the NER, Coogan embarked on a grand ‘European Tour’ (accompanied by his father and mother), celebrated his tenth birthday in Geneva, greeted presidents and met the reigning Pope – but according to The Guardian, he remained “simple and unaffected”, just like a hundred other nice little boys who have not the misfortune to be screen stars of world renown’. Despite his youth, Jackie was making millions, and was one of the highest paid actors in Hollywood. 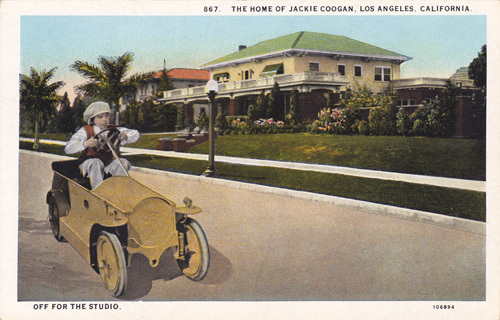 In 1923, Coogan’s parents signed a deal with MGM studios, agreeing to a now legendary, lucrative contract that included a profit stake in all Jackie’s films, a not-inconsiderable signing bonus and a $22,000 weekly salary. But Jackie paid a harsh price for his early success. His early talkies (including Tom Sawyer and Huckleberry Finn, both released in the early 1930’s) failed to attain the success of his early films, Coogan struggled to make the (then unrecognised) transition from child to adult star and, in May 1936, his father and a close friend died in a car accident in which Jackie was also injured. The landmark case wasn’t financially successful for Jackie, but it focused attention on the treatment of child stars; the resultant Child Actors Bill (or Coogan Law) was designed to protect their income and assets. 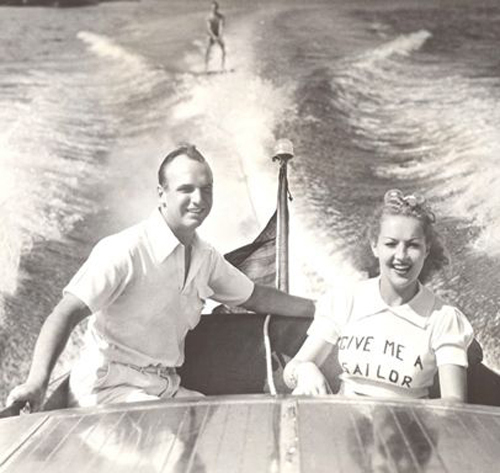 The court case marked Coogan’s transition into adulthood, both publicly and privately, a transition further cemented by his marriage and subsequent divorce to Betty Grable. Coogan struggled to find film roles and increasingly moved into television series appearances, including Cowboy G-Men, Playhouse 90 and, perhaps most famously of all, as Uncle Fester in The Addams Family during the 1960’s. Excellent post! 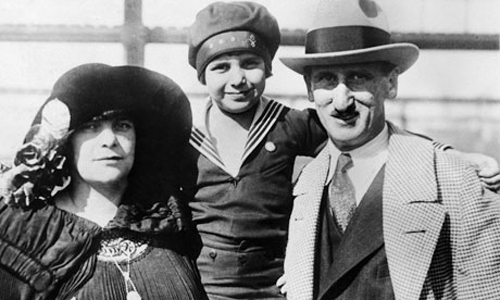 Coogan and his child star contemporary, Baby Peggy, both had similar financial issues due to their parents. I always find it very difficult and heartbreaking to read about. I once read that when he was starring in the “Addams Family” he told the two children, “I’m the reason you get to keep your money” (or something along those lines). It’s really heartbreaking, but at least something good came of it. Thank you so much for organising, I enjoyed participating and reading everyone’s posts! 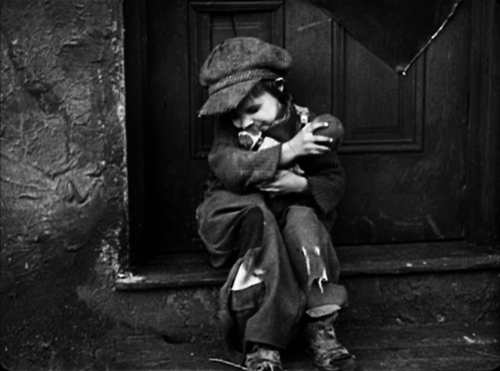 I loved Jackie Coogan in “The Kid” – and yes, he nearly does steal the movie away from Chaplin. This is a terrific post and a refreshing tribute to Coogan. So many folks obsess about his troubled life, but you’ve given us a good look at his career. The blogathon would not have been complete without your look at Coogan. Thank you! I’m glad you enjoyed reading it. So much has been written about Coogan, I hope I managed to add something extra! Thank you a most interesting post about a most interesting actor. His early success was impossible to sustain, but he kept at it. Long live Uncle Fester! Thank you for reading! It’s been great to see everyone’s contributions. Nice write up on Coogan. I will always love him for his TV role as Uncle Fester and that lightbulb, :). I got to see The Kid last year and it was a good film, very touching. Coogan was able to tug at the viewer’s heartstrings in a realistic way. He and Chaplin worked well together in this film. Enjoyed your post! I must admit that I only watched it very recently, but I think I appreciated it more as an adult. Thanks for reading! It’s head shaking to reconcile that cute little kid with Uncle Fester! Even more head shaking to try to fathom his parent’s actions regarding his earnings. An interesting creative and legal legacy. Wonderful! Watching The Kid, my grandfather said: “This boy is the best actor, magnificent!” and I believe he was right. Too bad Jack had to go under bad experiences with his nasty mother to earn what he deserved. And is difficult to believe the cute orphan in Chaplin’s film is Uncle Fester! Jackie Coogan had such startling talent at such a young age! I am not a cry-at-the-movies kind of gal but The Kid turns on the waterworks every time. Thanks for the tribute to Jackie and the information on the financial dangers child actors suffered from. Thank you so much for sharing ,i just can’t find word to describe how much i loved the kid and chaplain acting together ,and i loved the way Coogan acted as Uncle Fester,i just loved most of his movies,thank you for sharing some photos with us.wished i was there to see that precious period of their life…. 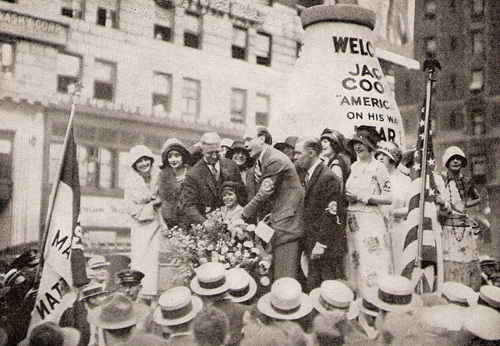 Jackie Coogan began his career before the Russian Revolution.